Is that the same one you read? I do vaguely recall Silverberg grumbling in the introduction, although I suppose it could be a false memory. I was unaware of this being #2 in a series. World Fairs were officially proclaimed a joke in 1996, when the Simpsons did their "Bart goes to the Knoxville World's Fair" episode ( https://en.wikipedia.org/wiki/Bart_on_the_Road ). The notion of using a world's fair to promote ones nation's greatness strikes me in 2019 as somehow even more quaint than humanoid Martians. With any luck we're about to see the same thing happen to the Olympics. I'll note Olympics certainly seem rather more expensive than World's Fairs, at least in recent times: according to Wikipedia (unreliable, I know) the aforementioned 1983 fair in Knoxville cost around $115 million while the 1984 Olympics cost something over $719 million (which does not include "road, rail, or airport infrastructure, or for hotel upgrades or other business investment incurred in preparation for the Games but not directly related to staging the Games"). Prices of course have ballooned since, with the Sochi winter Olympics of 2014 reaching an insane peak of $51 billion before costs dropped down to a "mere" $12 billion in Rio. Wonder what sort of World's Fair we could put on for $50 billion? You have to be especially daft to hold the Winter Olympics in the one place in Russia where it doesn't snow. Perhaps so, but I think we've lost a great deal in the process. The great World's Fairs were truly great and had a major cultural impact, even if they were done in a spirit of self-promotion; they could showcase our hopes and dreams, even against a backdrop of gloom and despair (NYC '39-40). Paris 1889 brought us the Eiffel Tower; Chicago 1893, the White City and the Ferris Wheel; Chicago 1933/Century of Progress, a view of modern transportation with the Dawn-to-Dusk Dash of the Pioneer Zephyr; NYC '39-40 was the root of futurist views for several decades, a position cemented by its successor in '64-65. Seattle '62 (Space Needle) and Montreal '67 are other notable cultural events. To me, it's not about promoting one nation's greatness; it's promoting the notion that the future can be better than it is today, if we're willing to work for it. Something I think we really need to see more of these days. Now that you bring it up, I agree. There's a lot more potential to a World's Fair than to an Olympic Games - and that's even if it's just a bunch of nations showing off whatever cool stuff their part of the world has to offer. Fairs are much more interactive than sporting exhibitions. Too, a World's Fair is likely to leave structures that are landmarks generations later (and still being put on local tat for tourists). Read that several times when I was a kid. My library had the hardback copy with the cover displayed above. FYI There are no purchase links in the review, though it looks like there should be. My recollection is that estimates of Pluto's mass didn't get really good until 1978, as the best information available was to try to judge based on its perturbations of Uranus and Neptune, already a hard problem. With the discovery of Charon, well, that solved the problem of Pluto's mass in under a week. I'm not sure when its size and density were nailed down to something like the currently-known values, but I would guess right about the same time, and from the same factor. Size was nailed down--to within a decent MoE--at the same time because watching Charon allowed for measurements by occultation. That's when they realize there was an atmosphere that made the apparent size fuzzy, so it took New Horizons to get the most accurate size. Not at the same time. Charon was discovered in 1978. Fortunately for astronomers, mutual occultations of Pluto and Charon began not too long afterward--as the plane of the Pluto-Charon orbit moved into the Earth's line of sight for a while. So there was a period between 1985 and 1990 when such occultations could be observed. I loved this book when I was about 13. Sky. 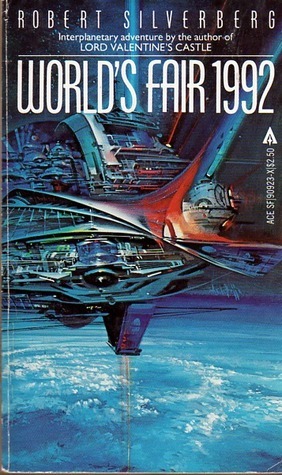 Arthur C. Clarke's novel is Islands in the Sky. Islands in Space is the nonfiction book by Cole and Cox you love so much.